The 6th edition of the nationwide arts festival, PAssionArts Festival will be held from Saturday, 1 July 2017 to Saturday, 5 August 2017. Themed “Arts of Wonder, One Nation“, the launch marks the start of the festival that will use arts to epitomise the creative and innovative spirit of Singaporeans. It also aims to foster sense of togetherness and bring the entire nation together to use arts to celebrate National Day. From 1 July to 5 August, the residents can look forward to over 500 art activities and programmes island-wide, including visual art displays and performing arts co-created by residents and artists. PAssionArts Festival aims to attract at least 250,000 residents to these events. Through the collective efforts of 88 People’s Association (PA) Community Arts and Culture Clubs (CACCs), the Festival will bring arts closer to residents homes strengthening their bond with friends and neighbours and creating an opportunity for them to showcase their shared values and hopes for Singapore. This year, over 50,000 residents from different races and walks of life, together with community partners in their neighbourhood, will come together to co-create new art pieces like ‘Plank Art’ and ‘Science Art’ to celebrate racial harmony and social cohesion. “We invite the public to participate in this year’s PAssionArts Festival, with 88 People’s Association Community Arts & Culture Clubs presenting 48 ‘Arts of Wonder’ Festival Villages island-wide. 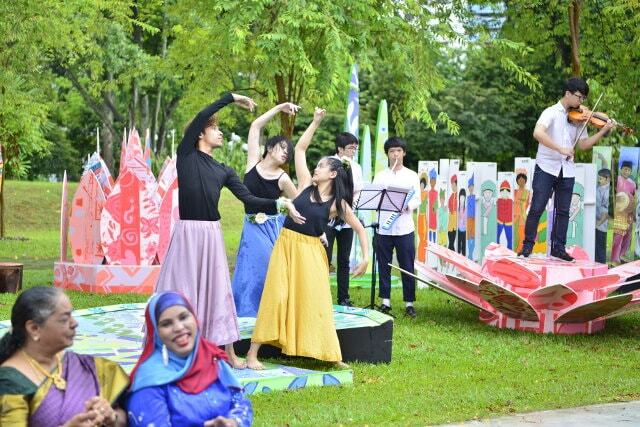 There are new partners such as Band of Doodlers and ‘The Three’ working with our Community Arts and Culture Clubs which uses arts to highlight the creativity and innovations of Singaporeans from all walks of life,” said Patrick Sim, Director of the People’s Association in charge of PAssionArts. “The combination of Science and Arts for this festival was a fascinating and inspiring way to bring communities together to co-create. 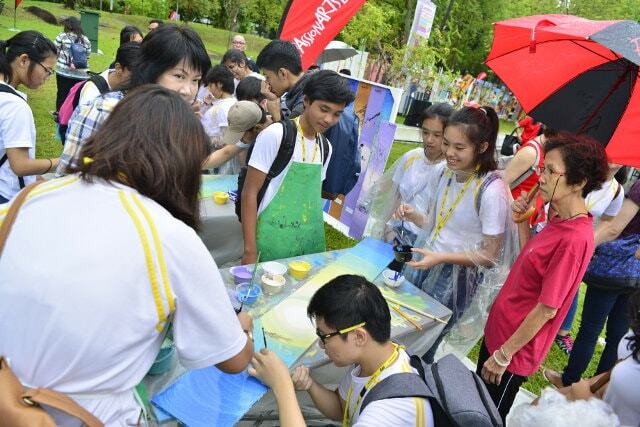 Through our collaboration with PA and PAssionArts Festival, we are able to showcase the unique blend of the two and create new learning experiences, as well as introduce new art dimensions for the community,” said Mrs Anne Dhanaraj, Senior Director, Education Programmes, Science Centre Singapore”. Through the Festival, the Community Arts and Culture Clubs (CACCs) are in the process of rallying 30,000 residents including youths to co-create pieces of Plank Art. These Plank Art pieces will be presented as art installations at over 200 heartland locations island-wide. The PAssionArts Festival aims to reflect the aspirations of Singaporeans and encapsulate the local characteristics of their community. This year will also feature two Festivals within Festival initiatives, i.e. Multi-Ethnic Traditional Arts Festival and National Day Photography Exhibition, to create more opportunities for Singaporeans to indulge in the arts and express creativity. For more details on the PAssionArts Festival, please visit our Facebook page and website here.